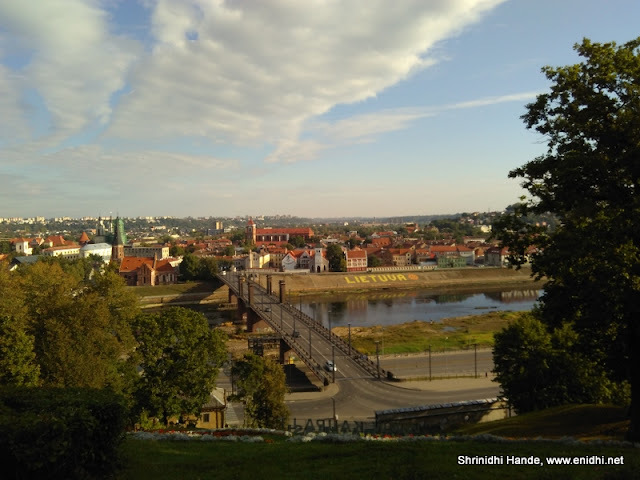 Recently I had the opportunity to spend few days in the cities Kaunas and Vilnius, in a country called Lithuania. Lithuania is one of the least visited countries in Europe as majority of tourists focus on Paris, Spain, UK, Italy, Switzerland etc. Lithuania- specially Kaunas is extremely cheap to travel and stay (in comparison with other EU cities) and offers an experience little different to mainstream EU cities. So if you are stationed in Europe and have a weekend to spare, I believe a short visit to Kaunas/Vilnius is totally worth it. Below are 10 reasons why I think so! 1 Lithuania is one of the cheapest place to visit. If you plan well, it is possible to have an entire 2 day trip within 100 Euros, including flight (from some other European city), hotel, food, local transportation etc. To give an example, while museum entry in Amsterdam/brussels would cost about 10-12 euros per person, museum/monument entry in Lithuania costs just about 2-3 Euros. You can reach city from airport in under 1 Euro. Full meals would cost under 10 Euro. Movie costs 4 to 5 euro per person. 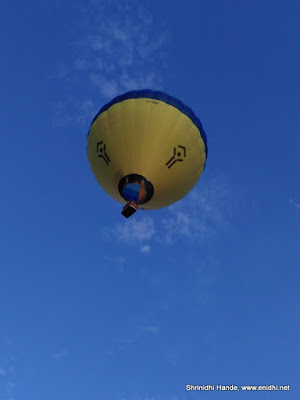 3 Balloon ride in Lithuania is very cheap compared to rest of Europe. You can have a lifetime experience for half the price of elsewhere. 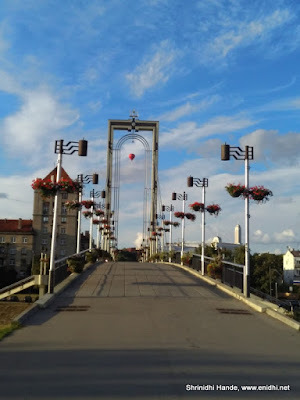 It is 99 Euros per person in Kaunas (even cheaper than what I paid in India.) In Spain it costs around 189 Euros, almost two times! 6 Memories of world war: Lithuania is one of the countries where Nazis mass murdered tens of thousands of people, who died for no apparent reason. Visiting this country and its war memorials will be like paying respect to those dead souls. Today we complain about poor internet connection, high fuel prices, taxes and so on. Those people we lucky just to be alive for another day. So think about what all you have got in life, before worrying about things you don’t have. 7 Taxis in Lithuania are old, roads may have some pot holes. You might feel like home with them compared to ultra-modern fleet of expensive taxi cars in other cities. 8 Many European countries are sort of plain. Not much elevation, not much hills. Lithuania has a bit of those. 9 Tram Buses in Lithuania are kind of unique- they have wheels like regular buses but are powered by an overhead cable. The turret that connects tram bus to power line is flexible to rotate around its axis as well as vertically, so the bus can do a bit of overtaking/turning etc if required. Otherwise they need to drive along the pre-fixed path. 10 Unlike other key EU cities where general public, taxi drivers would know some level of English, most people in Lithuania do not speak English. Hotel staff, shopkeepers can manage good English, but taxi, police etc won’t. So you will have fun managing with sign language. But there is adequate WiFi coverage so you can connect to internet once in a while to download information you need. As such Lithuania isn't very optimized for tourism- you don't find sign posts indicating which direction are various attractions and how far, many museums and attractions do not have proper displays like when they are open or what is the entry fee, there is no 1 day or 2 day city pass with unlimited public transportation ride. Lithuania has an Indian Embassy, few Indian restaurants and many Indians have been here. There are many war memorials, museums, castles, rivers and other such stuff that can be explored. Ryanair has 5-10 flights every day to Kaunas from various European cities. 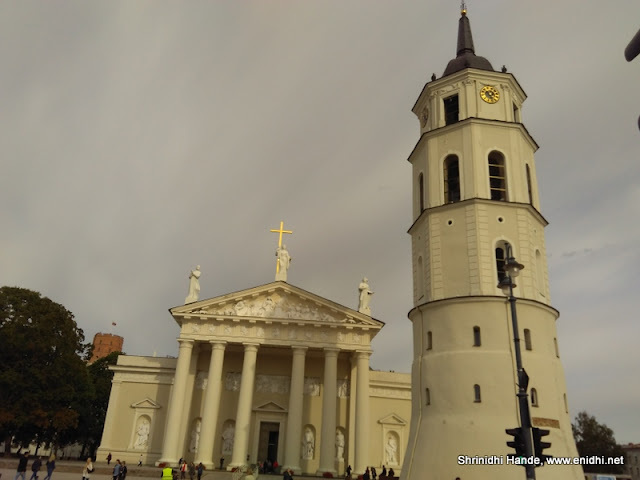 Capital Vilnius has flights from other nearby cities- Warsaw (LOT Polish Airlines), Riga (Air Baltic), Frankfurt (Lufthansa), Moscow (Aeroflot) and many more. Air Baltic seem to have selected Vilnius as its second key hub and has planned several direct flights from Vilnius to other cities. Train/Bus/Ferry service to Lithuania is not that great- it is a land locked country. Trains in Lithuania are neither inviting, nor confidence inspiring. From India Turkish air provides connectivity from Mumbai and Delhi, Aeroflot connects via Delhi. Else you have to fly to some other European city and then fly to Vilnius. Looks like a good place to visit before it transforms to major tourism. thanks for the post , Srinidhi avare.